FineTool Hardware Caddy - 600 Pieces | BUDK.com - Knives & Swords At The Lowest Prices! 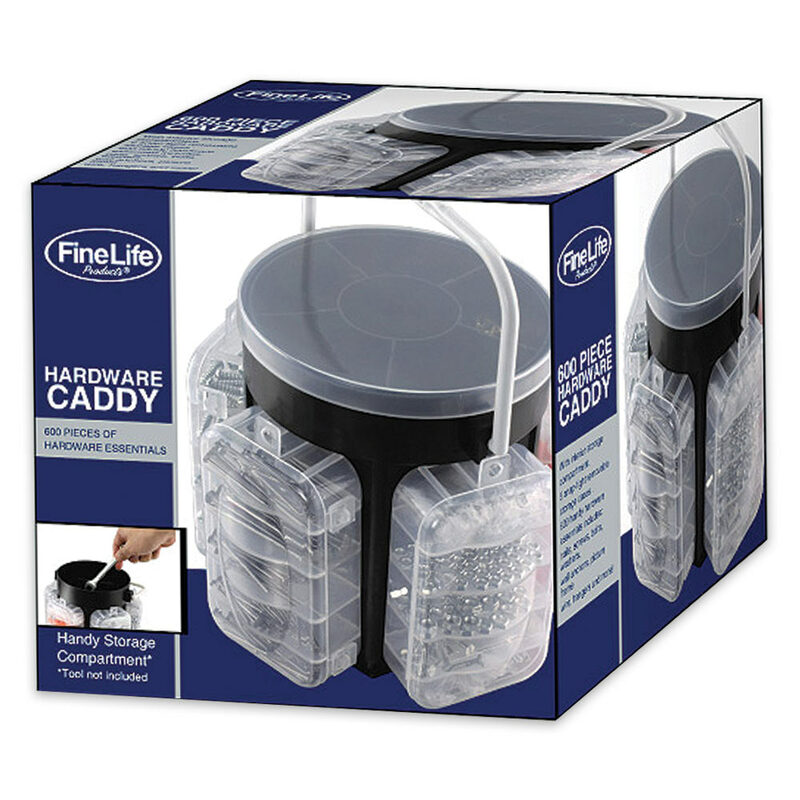 Keep small hardware organized with the FineTool Hardware Caddy. This is a must have essential for every home owner and renter alike. 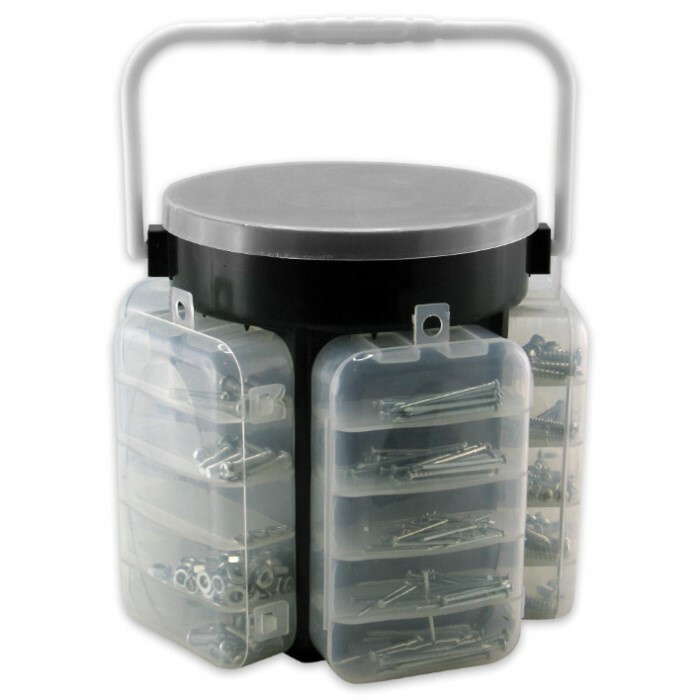 You get nuts and bolts, nails, washers, screws, hooks hangers, wire, wall plug and more in six detachable organizers on a large, central see-thru storage compartment. 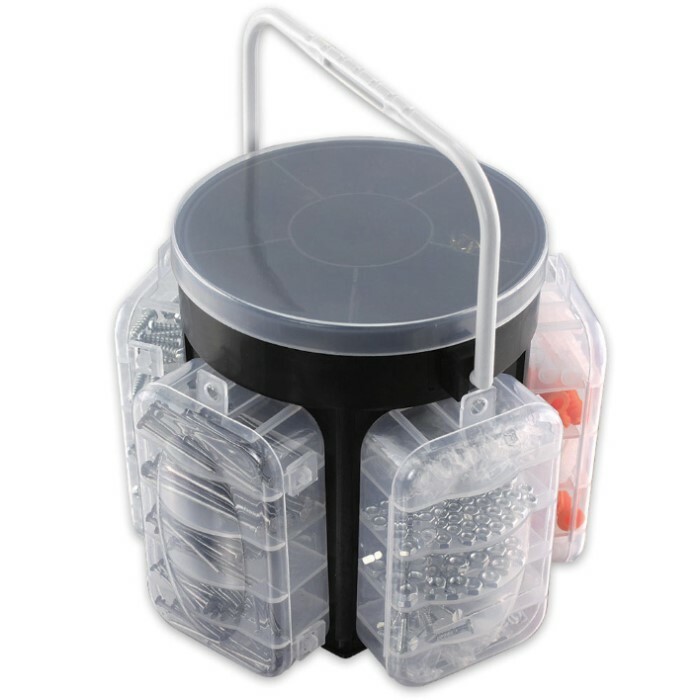 You are getting 600 pieces of useful hardware in a portable, compact container!